Agreed. Transplant them now. Get some good organic potting soil and gig a 5 gallon bucket size hole. 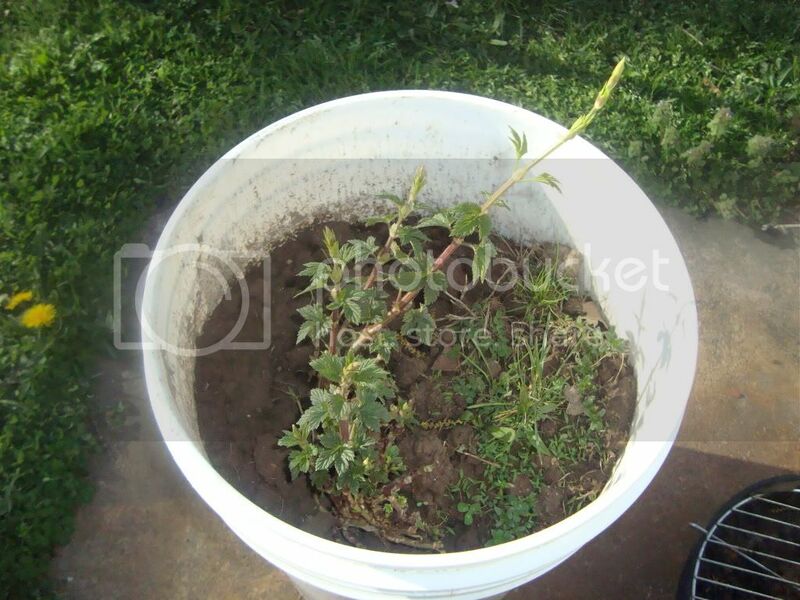 Dump in the potting soil and transplant the hops. Ahh cool - easy enough. Thanks!